Since creating the Radio Artisan discussion group, I haven’t been frequently posting progress reports on my various open source amateur radio projects, but needless to say progress and interest in these projects continues to build. The project that has been garnering the most attention in recent months has been the Rotator Controller. Ironically, I personally use this project the least in my shack, but I get emails nearly daily for new features or support requests, with a lot of interest coming from Europe. Previously I called it the “Yaesu Rotator Controller Emulator”, or something to that effect, but I’ve dropped Yaesu from the description as it’s gone significantly beyond my original intent of just interfacing to my Yaesu rotator. It now supports the Easycom protocol, several azimuth and elevation sensing methods, including rotator encoders, pulse inputs, digital compasses, and accelerometers. It’s also now possible to place a remote unit at the tower and a host unit in the shack, in sort of a client-server fashion, to support I2C sensors on towers and automate other stuff like relays. I’m amazed at how many people out there are wanting to interface old rotators to their computers or build their own homebrew rotators. Karl, JA4BUA, has this site with pictures of his implementation of the rotator controller, complete with an Eagle circuit design. I’m impressed with his workmanship, with his creation looking much like a commercial piece of equipment. The CW Keyer project has CMOS Super Keyer timing in beta and native USB keyboard support is in the works. Currently PS2 keyboards are supported, but these seem to be getting less common these days. I also have in the works a full LCD menu system. The MJ/ON6NB DXpedition will be using a DJ0MY Nanokeyer running my keyer software later this month from the island of Jersey. 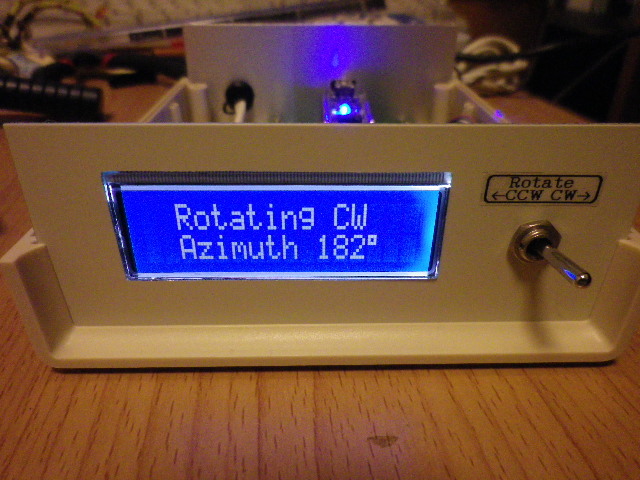 The Ardiuno Antenna Tuner is still in alpha, however I’ve been using my first prototype in the shack for some time now and it’s working quite well. It puts the two commercial tuners I own to shame. Needless to say it’s a much more complicated project than the keyer or rotator controller. I’m working on a hardware design using an ATMega1284P chip that can be replicated and will hopefully encourage others to build it. I’ve been intending to write an article on KiCad, an open source electronic design tool, similar to Cadsoft Eagle. I migrated to KiCad a few months ago, and it’s simply amazing. It runs on both Windows and Linux, and the user interface isn’t compromised on either, looking nearly identical and rather polished for an open source project. Many people are using it professionally, though it doesn’t appear to have the same hobbyist following as Eagle, yet. There are a few downsides to KiCad at this point. Management of component and footprint libraries is less than intuitive and needs some work. Development is quite active with updates being released almost daily, which can make for some feature instability. But on the positive side, component design is much easier than Eagle, it has no limitations like the free versions of Eagle, and it’s definitely capable of producing professional quality designs. If you’re doing circuit design you really need to check out KiCad. In closing, I’ll say it’s a great time to be building stuff in amateur radio. On a daily basis I’m amazed at the ingenuity and creativity radio amateurs have. We can build great equipment, beyond radios and antennas. Sure, it’s difficult to find a good air variable capacitor these days, but we have access to sophisticated components, modules, design tools, and computing power well beyond what our predecessors had. We have the means to exchange ideas, information, and designs more easily than ever. We are truly lucky. What have you built lately?